Finally a natural creme cleanser so creamy, nutrient dense and affective it will make you cry with joy! Need to calm that chaotic skin?... Essential Basics Trio. 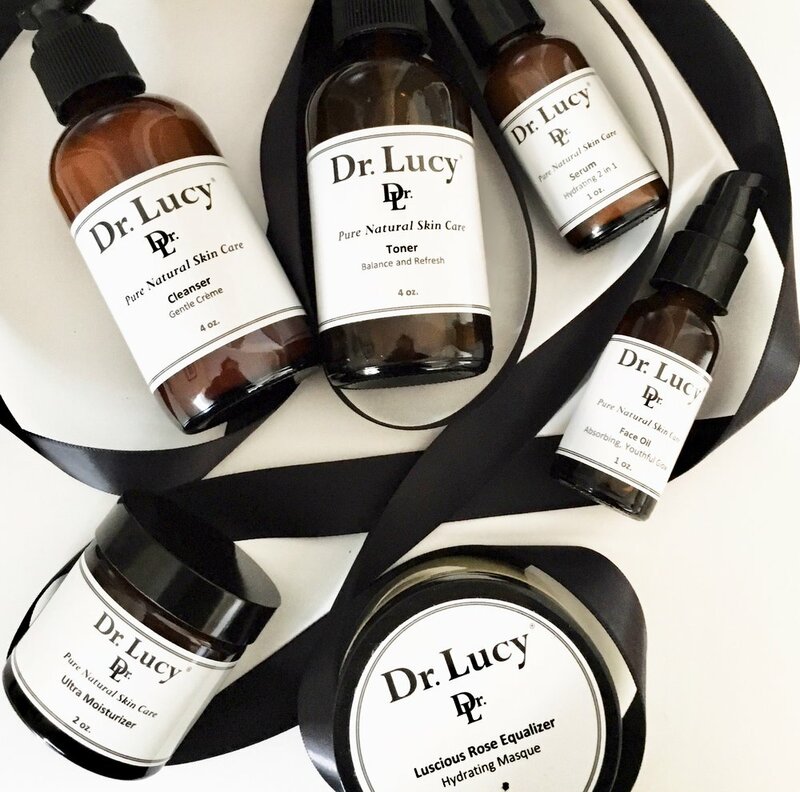 Come experience the difference in fresh, natural skin care with Dr. Lucy. 🍒Why is double cleansing your face so important? It is extremely important to remove makeup, dirt, and pollutants that have accumulated on your skin during the day, before heading to bed," Shari Marchbein, a dermatologist in New York City, tells Allure. "Sleeping with makeup on or forgetting to rinse your face before bed is a big no-no as it can cause major acne breakouts including painful cysts." Double cleansing then, is theoretically, twice as nice. "I recommend a double-cleansing ritual to my patients to first lift dirt and grime and then to wash them away," Dendy Engelman, a New York City-based dermatologist, tells Allure. 🍒How Do You Double Cleanse? 1st Way: The way we prefer is to double cleanse with an oil based cleanser. Massage cleanser gently into your skin, then use your Clarisonic or a warm wash cloth to cleanse and wipe off for the first time. For the second time massage the oil based cleanser into your skin, which reaches deeper into the pores to loosen hardened sebum. Then warm wash cloth off followed by toner, serum, moisturizer and or face oil. 2nd Way: Following the same steps as in the 1st way, use a cream oil based cleanser, then a water based cleanser. How Do You Double Cleanse and Why? It turns out that the right cleanser and toner absolutely make a difference! Why oil based creme cleansers? The Dr. Lucy Creme Cleanser is so gentle, balancing and nutrient dense for your skin, yet it takes off everything, we mean everything, even waterproof! Why a natural creme cleanser? One huge reason is good oils take off bad oils. Plus, they do not strip your skin like foams, gels, soaps or wipes will. If you're going to use a cream cleanser, you need to make sure you're getting your skin thoroughly clean, and not leaving any cleanser, grime or makeup behind on your skin. Step 1: Apply the cream cleanser to dry (not wet) skin and massage it around for a few moments. Step 2: Wet your fingertips with water and continue massaging the product. This will emulsify the cleanser, grime and makeup making it easier to remove. Step 3: Use a warm, wet wash cloth TWICE to remove all grime and makeup. Step 4: Your natural toner is a must after using your creme cleanser to balance, start the hydration process, even out skin tone, plus allows your other products to work more effectively. P.S. Even if you were not wearing makeup, you STILL need to cleanse your skin everyday with the creme cleanser to remove grime residue from your skin. We decided to celebrate Mother’s Day with you! Our special gift to you is 20% off ALL products. Let us celebrate the women that gave us life. Plus friends, sisters, coworkers that have a special place in our hearts. Your promo code is: MAMAN18 expires May 6th.